Thomas Piquemal has told a French Parliament committee hearing that he proposed a three year delay in investment for the £18bn Hinkley Point nuclear power station project, as he believed the funding would pose a considerable threat to EDF’s financial stability. Mr Piquemal subsequently resigned from his position as EDF’s chief financial officer in March 2016 following a boardroom row over the project, where it became apparent his request would not be implemented. At the committee hearing, Piquemal said: “In January 2015, I proposed to negotiate a three-year delay with our client because we reasoned that it would weigh too heavily on EDF's balance sheet. 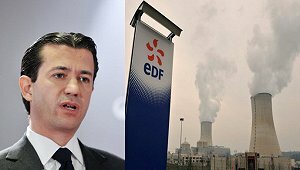 “I could not sign off on a decision that could one day put EDF in the same situation as Areva, having to recapitalise the company a few months before defaulting on payments,” he said, referring to nuclear group Areva which agreed to sell its reactor business to EDF after being virtually bankrupt following years of losses. Since Piquemal’s departure, EDF has delayed funding on Hinkley Point C until September 2016, having previously been expected to make an announcement in early May. The company has also announced a four billion Euro capital increase through selling new shares, whilst the government has agreed to receive its dividends in shares instead of cash for two years, in a capital boost generating around 7 billion Euro.